With Christmas around the corner, I've got giving on my mind! I've been thinking about what to give my co-workers to mark the holiday and decided I'd finally give this DIY a try. 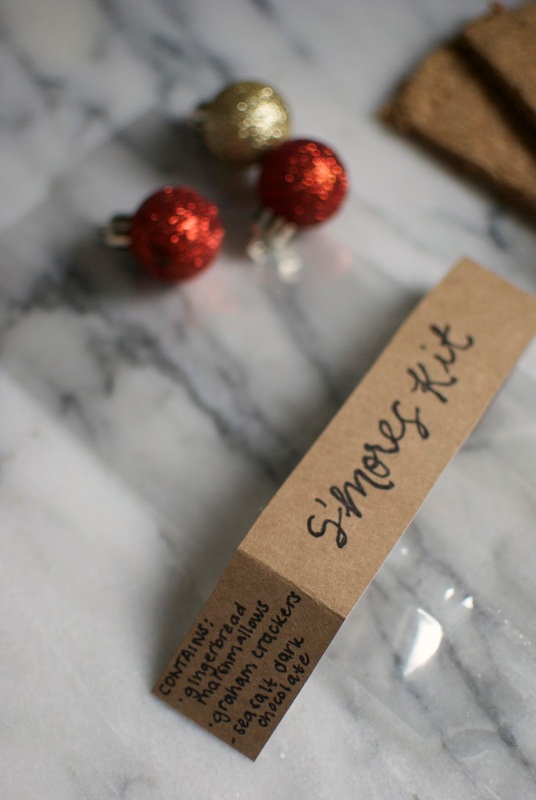 I was inspired by these kits that I've had pinned on my Pinterest board for the longest time so with a bit of thought and planning I made my own to give this year! 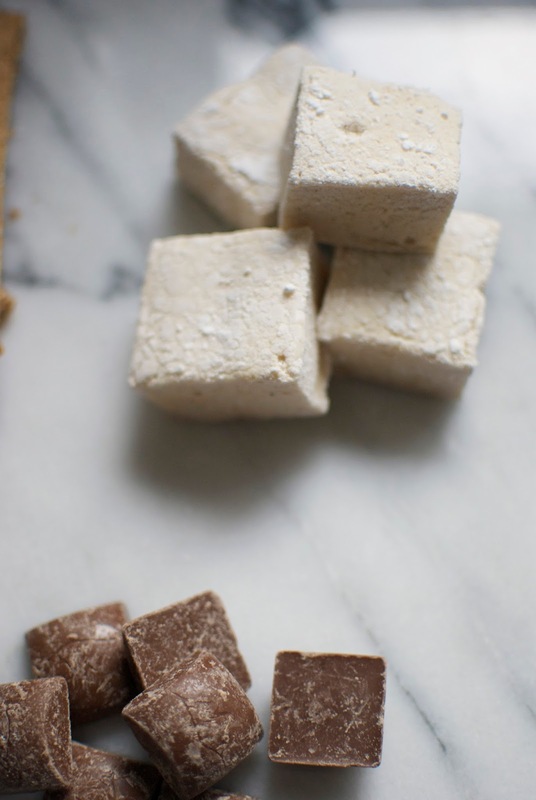 The graham crackers are also homemade using this Martha Stewart recipe. They were also easy in theory, albeit a bit crumbly which made them harder to work with. In the long run they worked out and taste like a graham cracker! 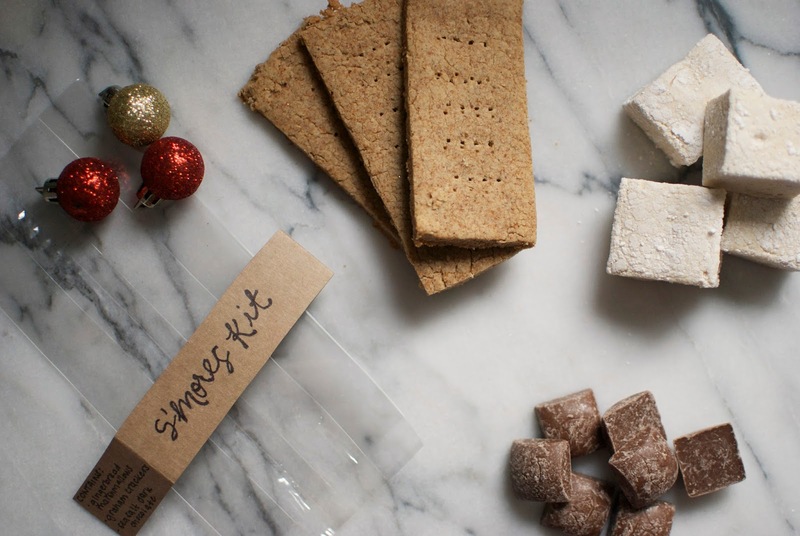 These kits include: gingerbread marshmallows, graham crackers, and sea salt dark chocolate. 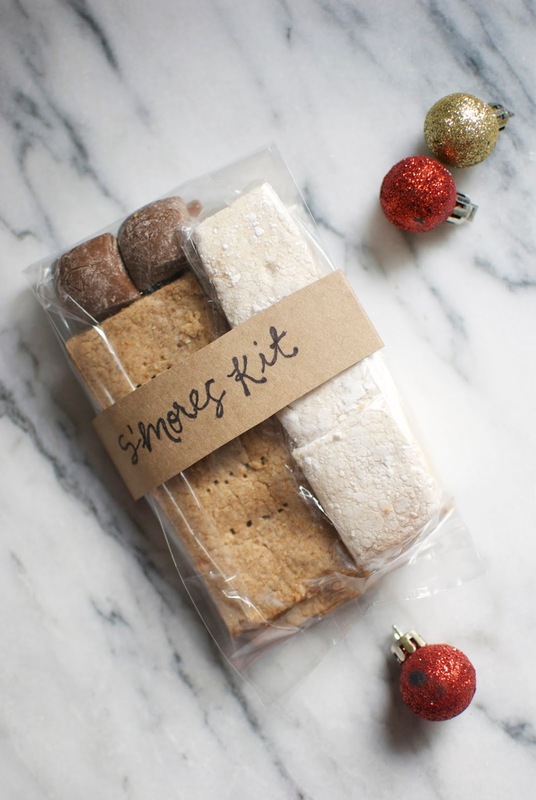 I wrapped up the marshmallows in cling-wrap since they're super sticky then packaged it all up in a cellophane bag! There you have it! 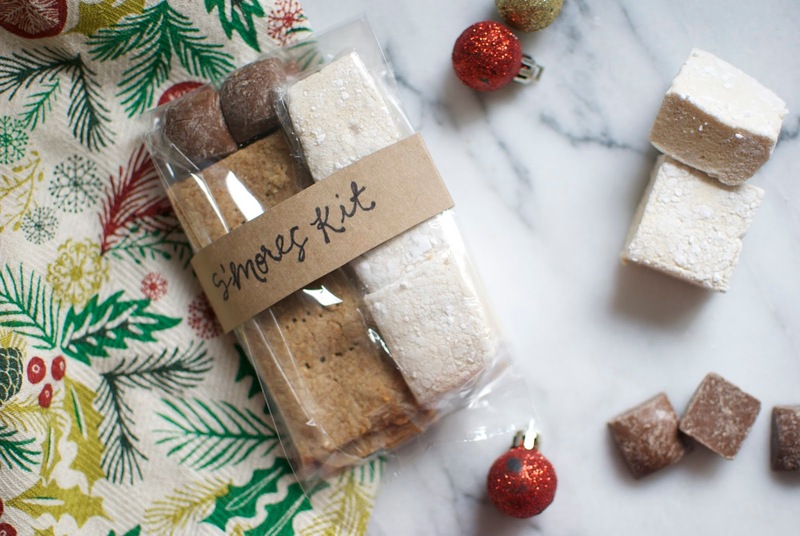 A tasty little treat packaged neatly—bow optional.